2007 Legacy Manufactured Double wide with over 1500 sq. ft. sitting on 1.5 acres with lots of mature trees, paved road access, open floor plan, large kitchen with lots of cabinets and a good size pantry+ eat-in-bar. Updated electric, covered front porch deck, circle drive, 30x40 metal shop building with concrete slab and 2 overhead doors. 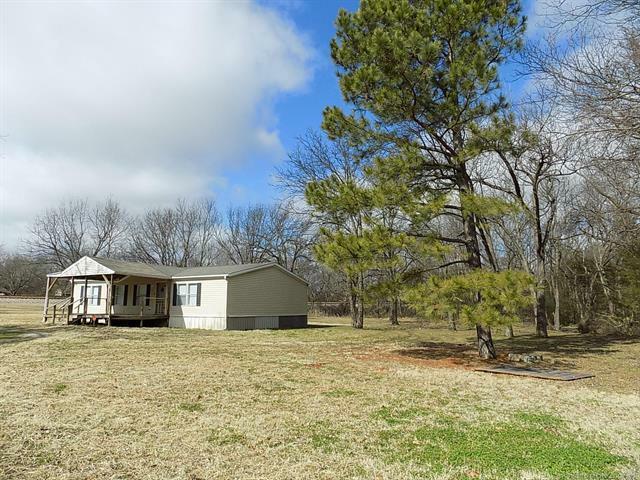 Located in country setting just 15 minutes to Holdenville or 30 minutes to Seminole.